This has been a very good year for Linux Users of Victoria, Inc. By all major metrics, we have improved. Our membership has increased, the attendance at our main meetings and beginners workshops have improved, and we are in a better financial state that we were last year. We held an excellent Software Freedom Day last year with larger attendance and international, and a very successful annual picnic. In a few weeks, Linux Users of Victoria, Inc., will be holding another Annual General Meeting. But this one is somewhat different to others. At this meeting, the very existence of LUV as an independent organisation may come to an end. A motion is on the agenda that LUV dis-incorporates and merges into Linux Australia, Inc., as a subcommittee of that group. It is an issue which I personally have given some serious thought to over the past several months, and more fleeting consideration over the past few years. pghpf High Performance Fortran compiler driver. pgcpuid Display the CPU type the compiler sees and display the default -tp switch it will use. The past several years my desktop machine at work has been running 32-bit Ubuntu (and more recently Xubuntu), even though it had a 64-bit processor. The nature of the work I did meant that this wasn't really an issue at all until recently an application that did require interaction between the desktop client and the HPC cluster dropped support for the 32-bit client. Well, fair enough. But what 64-bit distribution should I install? 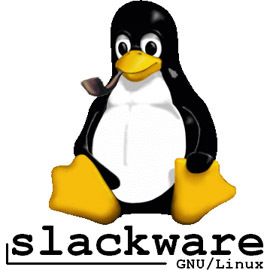 "Slackware", said the mischevious wonk next to me. Sure. Why not? After all, it was the first Linux distribution, and it has slack in the title - and I do believe in the benefits of the Church of the Sub-Genius. Actually there are two reasons why not, but I thought I'd give a whirl anyway. Installation was pretty much as documented. You will have to do your own partition management, a typical rule of either partitioning /boot, /home, and a swap partition is pretty sensible. Or you can just put everything under / and work it out later if that way inclined (I was, and I shouldn't have been). When it comes to installing packages, it's worth going for "full", keeping in mind one of the aforementioned "two reasons", although there is a very good argument from older-style Slackware purists that says that you should have full knowledge of your system at all times and shouldn't beholden to pretty stupid niche situations, such as a media player wanting Samba as a dependency. After that it's a case of getting LILO set up as the boot-loader (I had to run liloconf after the install due to some interesting arguments with an existing GRUB) and the default window manager (my preference is XFCE). Like most things Slackware, options which are expected and normal in most distributions are not necessarily the case with Slackware; in particular it is noted that 64-bit Slackware really means 64-bit. It will not run 32-bit binaries. To enable this there is some fairly straight-foward instructions. The following script searches through any specified text file for text before and after the ubiquitous email "@" symbol and outputs these as a csv file through use of grep, sed, and sort (for neatness). If the input or the output file are not specified, it exits after echoing the error and provides the correct exit code (1), to indicate error. A couple of days ago I scambled together some notes on Backup and Synchronisation and spoke of the need to exclude certain directories (e.g., .gvfs, .wine) from synchronisation. Well, it turns out I ate my own dogfood. Backing up a desktop machine to a central server I discovered that I had did not exclude a .wine directory; it hadn't been used for a long time, I had uninstalled the program and frankly, I had forgotten about it. Well, a few hundred gigabytes later. The following is a brief introduction on how to write up a simple backup script in bash that takes advantage of the date command, and the use of rsync to produce a synchronised mirror, which could also be used for backup purposes. From their website. "Geant4 is a toolkit for the simulation of the passage of particles through matter. Its areas of application include high energy, nuclear and accelerator physics, as well as studies in medical and space science." From their website: "The CLHEP (Class Library for High Energy Physics) project was proposed by Leif Lönnblad at CHEP 92. It is intended to be a set of HEP-specific foundation and utility classes such as random generators, physics vectors, geometry and linear algebra. CLHEP is structured in a set of packages independent of any external package (interdependencies within CLHEP are allowed under certain conditions)." The GROningen MAchine for Chemical Simulations (GROMACS) is a molecular dynamics simulation package that is very fast and has support for different force fields. It is notable for being used for protein folding at Folding@Home. In most recent versions it has changed the build tools from requiring a somewhat detailed configuration script to a cmake system. In this scenario, builds are done outside of the source tree. The following serves as an example installation process.